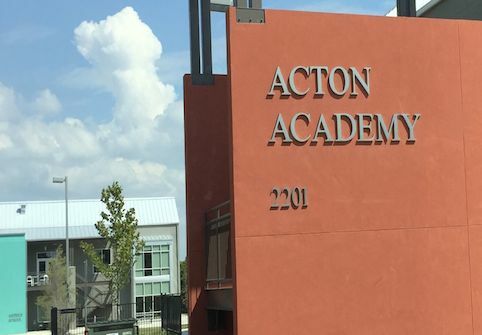 Acton Academy is small private K-9 school in Austin. The core promise is that each student will “Begin a Hero’s Journey.” Through real-life challenges in the one room schoolhouse, “Our young people at Acton are learning that courage, grit, and perseverance matter far more than regurgitating facts,” said Laura’s husband and Acton co-founder Jeff Sandefer. On a mission. Raised with a servant’s heart by a minister and Montessori teacher, Laura spent her early career in insurance working in London and New York. With an interest in teaching, she left business and earned a master’s in education at Vanderbilt. Jeff started his first company at age 16 and most recently sold Sandefer Capital: an energy investment firm. He was introduced to a Socratic teacher at Harvard Business School and taught at UT McCombs School of Business. He and three colleagues left in 2002 over a dispute about the future of the program and founded the Acton School of Business, a school based on the Socratic approach and dedicated to America’s next generation of principled entrepreneurs. Laura and Jeff’s faith and commitment to stewardship guide their philanthropy and teaching. They remain deeply involved in the causes they support. Laura serves as head of school and Jeff is the lead guide for middle school students. Model. Acton serves students in grades 1-9 this year and will add grades 10-12 next year. It is a private school to avoid numerous constraints. Tuition is $9,515 per year making it less than expensive than most private schools. There is a maximum of 120 students requiring a facility of about 9,000 square feet. Acton is radically student-centered. Students learn at their own pace. There are guides not teachers, studios not classrooms, portfolios and exhibitions not grades. Guides are more likely to ask than answer a question. “When things go wrong, the temptation is to step in,” said Jeff, “But it’s important to step back.” He added, “When things get worse, there a stronger temptation to step in.” But the magical thing about a learner-centered environment with strong moral compass is that “student leaders will step in and resolve the situation.” In the process, students learn valuable leadership and collaboration skills. Laura appreciates that student motivation is, “Complicated and individual, for some it is peer motivation, for some it is earning a badge–we find the real hook for each student.” Acton uses Montessori and Socratic teaching methods to encourage critical thinking and self-mastery. 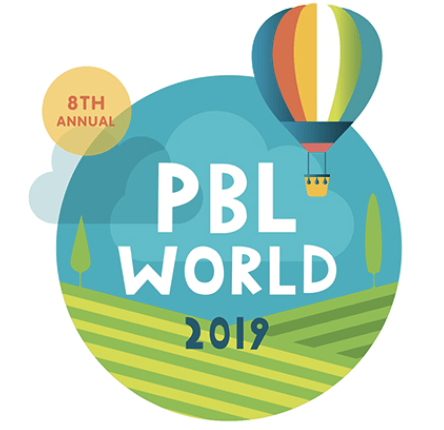 The project based curriculum helps students learn to know, learn to do and learn to be. Parents and students sign contracts incorporating expectations. Some parents are helping to develop badges to mark achievement. High school students will find their own paid apprenticeships. Acton is a blended learning model co-constructed with students. Jeff said, “We don’t teach math.” But they do identify and select resources. For math, they’ve used DreamBox and Khan Academy (and, it is interesting to note that Sal Khan is starting a similar school for his children). Students found and supplemented with other online resources. Jeff and Laura have been pleased to see multi-aged peer coaching and problem solving. Students found and added world language resources and groups to the Acton model. The model is producing promising outcomes. They have seen some students learn at ten times the normal rate. 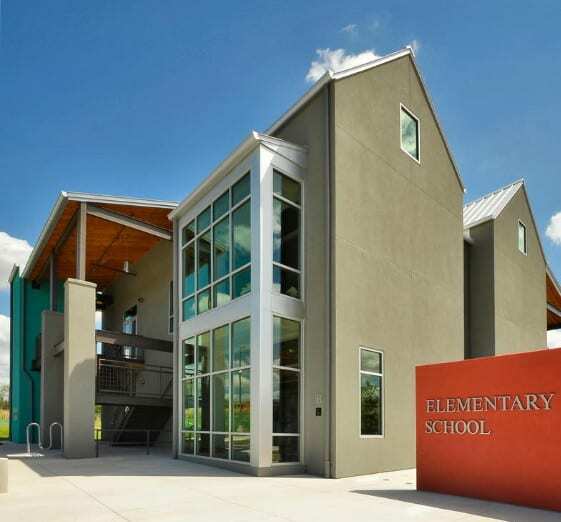 Half of sixth graders at the Austin campus already exceed state twelfth grade standards. Acton schools have cameras that record everything allowing students and guides to reflect on learning activities. Laura writes a blog for Acton parents that helps extend inquiry learning to the home. The model is not for everyone—10 or 15% of students don’t make it and get voted out by their peers. Invitation. Rather than opening new managed schools, the Sandefers have issued an invitation to other entrepreneurs to open learner-driven schools like Acton. For $10,000 interested parties can visit the campus and gain access to all the framing tools. They can use the Acton brand name if they agree to the promises, including having their own children enrolled in the school, sharing weekly satisfaction surveys with all Acton Academies and installing monitoring cameras. One of the first replications sites is Acton Academy Guatemala where a 14 year old is taking college level classes. “Kids are far smarter than we thought,” said Jeff. Is there a public school high-need version of Acton? “We don’t know, we’re still learning,” said Jeff. The learner-driven model may not be for everyone. The pedagogy and required contracts with parents and students suggest that the model will work best in an opt-in model—perhaps a magnet school options. The learner-driven Acton Academy model is worth watching but like project-based learning it looks easy to do but is hard to do well. The secret behind the model is two extraordinary mission-driven human beings leading a small school with great wisdom and care.